For the first time in over a year and a half, there was a month on month fall in the percentage of Yorkshire companies at higher than usual risk of insolvency, according to the local branch of restructuring and insolvency trade body R3. The latest R3 research shows that in October, of the 11 sectors monitored by R3, hotels in Yorkshire saw the strongest resurgence with a 2.2 per cent month on month fall in the number of companies in the sector facing an elevated insolvency risk. Of the 664 active hotels in the region, 219 are currently deemed to be at higher than normal risk of entering insolvency in the next 12 months. The proportion of Yorkshire hotels with a raised risk of insolvency is, at 33 per cent, slightly higher than the national figure of 32 per cent. However, the region’s hotels put in a stronger performance than their counterparts in many other parts of the UK. The most worrying picture was in the South West, where 39.7 per cent of hotels had a higher than normal risk of insolvency. This compares with the North East, where just 26.5 per cent of hotels had a higher than normal risk of insolvency. In Yorkshire, all sectors monitored by R3 showed a month-on-month increase of less than 1 per cent in the proportion of businesses with an elevated insolvency risk, apart from professional services (1.7 per cent rise) and pubs (2.2 per cent rise). Overall, the level of Yorkshire businesses at higher than normal risk of insolvency (44.3 per cent) fell by 0.3 per cent since September, the first monthly fall for over a year and a half following successive rises every month since April 2017. 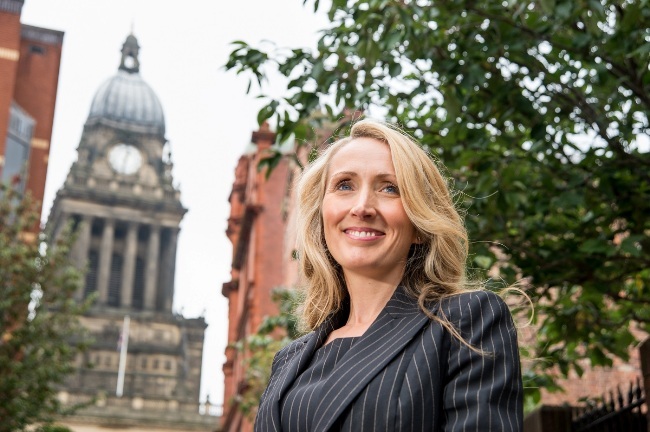 Eleanor Temple, chair of R3 in Yorkshire and a barrister at Kings Chambers in Leeds, commented: “The combination of Yorkshire sunshine and the relatively weak value of sterling has resulted in the region attracting high numbers of visitors from home and abroad over the last few months. It’s good to see our hospitality sector benefitting from this more positive outlook having faced some tough times. R3 uses research compiled from Bureau van Dijk’s ‘Fame’ database of company information to track the number of businesses in key regional sectors that have a heightened risk of entering insolvency in the next year.